Wales have a great history against England in Twickenham but England were looking for their 15th home win in a row. Wales have beaten them there three times in the last decade which is more than any other team in the 6 Nations. England vs Wales is one of the greatest sporting rivalries. Having impressed against Scotland, Wales had a good chance. Wales’ injury curse continues to infect the players. Leigh Halfpenny, who I believe was last week’s best player, was ruled out of the game due to a foot infection. This was a massive blow for Wales. The game began at a high tempo with both sides making handling errors on the wet field. 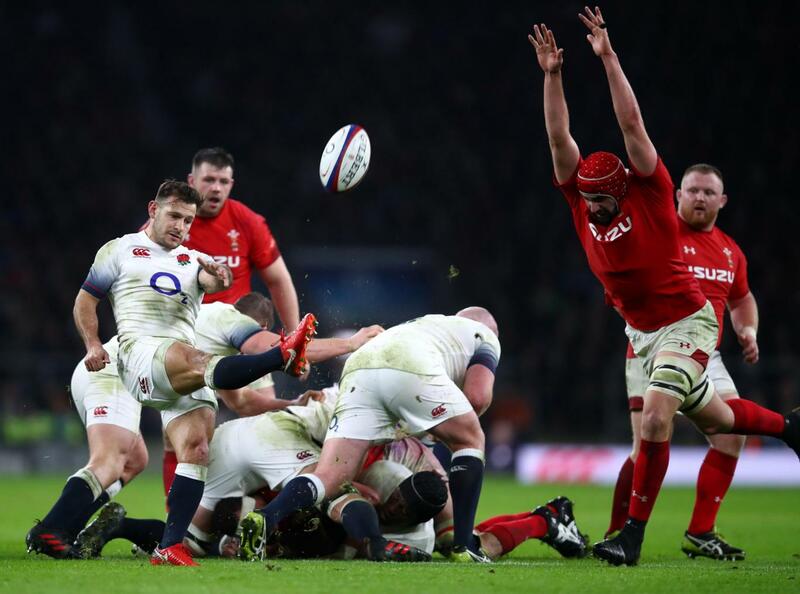 The first try came in the second minute after a wonderfully weighted kick by Owen Farrell from the halfway line which put May into space and to score the try. Farrell missed the conversion but England had the five-point lead. Kicking was a very big battle in this test match, and England were the ones who one it. Owen Farrell put a lot of pressure on the inexperienced Welsh back three. Wales’ kicking, on the other hand, wasn’t very varied and very predictable, often seemed to go to the hands of Mike Brown. This gave England a lot of possession and territory. May scored the second try for England in the 20th minute. 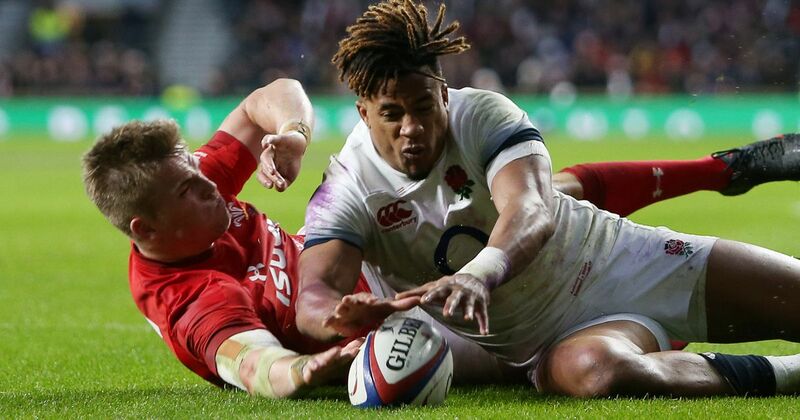 After a long period of 26 English phases that couldn’t break the stubborn Welsh defence, the ball went wide to Launchbury who offloaded a great pass in-field towards May and he scrambled over for the try. Owen Farrell made it 12-0 to put the cherry on the cake of a poor first quarter of the game for Wales. Wales came incredibly close to scoring in the 23rd minute only for the TMO to disallow what looked like an obvious try for Anscombe. A chip-kick from Rhys Patchell to Steffan Evans who kneed it inside for Gareth Anscombe to ground the ball seemed to me and everyone in the stadium like a perfect try, but the officials disagreed. After the game, World Rugby apologised for the mistake. Wales had to settle for the three points. Last week’s man of the match, Aaron Shingler, made an explosive 50m burst down the field only to lose all of his options as he reached the opposition’s try line. The half time score was 12-3 to England. Scott Williams came very close to scoring on the hour mark. He was only stopped by a superb cover tackle from Sam Underhill. Williams dived for the try line a little early too which made it difficult for him to reach it. Anscombe scored a penalty in the 76th minute to bring the game within a converted try for Wales. The final minutes were nail-biting but England somehow managed to hang on. The final score was 12-6 to England. Wales go to the Aviva Stadium in two weeks for another tough game against Ireland. If Wales loose against Ireland, our championship hopes will be over.